What Does Code P0965 Mean? 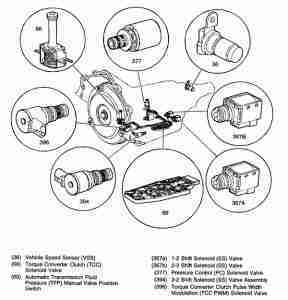 The transmission controller receives input signals from various engine and transmission sensors. Engine sensor inputs typically include the degree of throttle angle, engine RPM, engine coolant temperature, and engine load percentage. Transmission sensor inputs are designed to monitor transmission input speed (RPM), transmission output speed (RPM), shifter position, torque converter lock-up percentage, vehicle speed, transmission temperature, and pump pressure. This is not an exhaustive list. These input signals are used by the transmission controller to aid in mapping shift strategy and electronic pump pressure parameters. 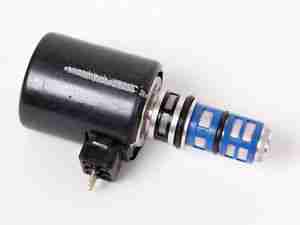 The electronic pressure control solenoid/valve (usually located in the valve body) is used to regulate pump pressure. Careful regulation of pump pressure keeps the transmission shifting smoothly and precisely. Maximum pump pressure - applied directly to the valve body - would lead to extremely harsh shifting and potential driveline damage. If the PCM detects that it cannot regulate pump pressure (by applying the appropriate degree of voltage to the EPCS) or detects a level of EPCS circuit voltage/resistance that is not within programmed specifications, a P0965 will be stored and a MIL may be illuminated. What are the common causes of code P0965 ? What are the symptoms of code P0965 ? How do you troubleshoot code P0965 ? To accurately diagnose a code P0965, you will need a diagnostic scanner (scan tool), a digital volt/ohmmeter (DVOM), a transmission pressure gauge, and vehicle factory digrams and information (All Data DIY). I like to begin my diagnosis with a visual inspection of transmission control wiring and connectors. 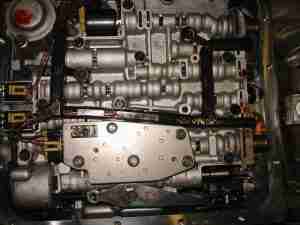 Remember that a large segment of the transmission control harness is inside the transmission hosing. A P0965 code may be attributed to an electronic malfunction or a mechanical malfunction. If the transmission is low on fluid, it could cause a low pressure condition and a stored P0965. Check the transmission fluid and refill it (always use the recommended fluid) if necessary. If the fluid level was low, you will also want to inspect the transmission, transmission cooler, and transmission cooling lines for leaks. Remove the dipstick (if applicable) and see if the fluid smells and looks burnt. 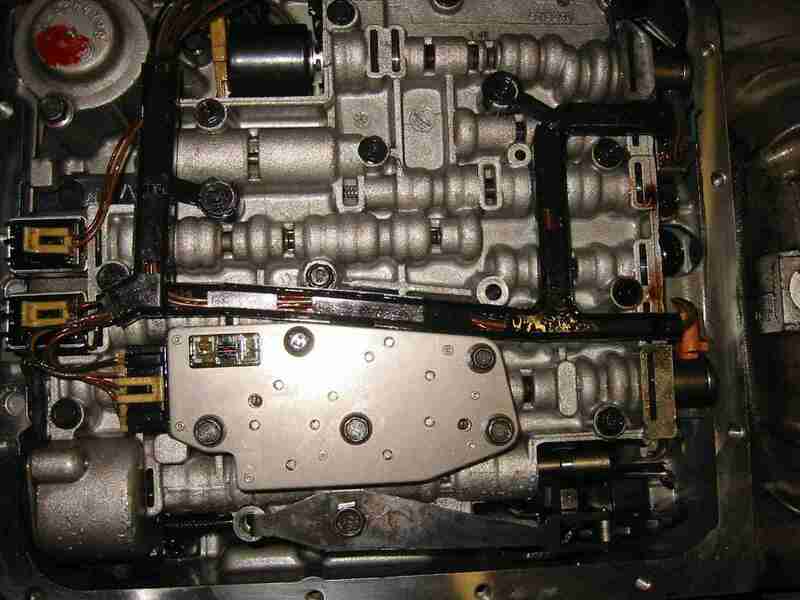 If it appears burnt, suspect mechanical transmission failure, which will require an overhaul. If the transmission fluid is significantly low (more than 2-quarts), you will need to locate the leak and repair it, Refill the transmission with the recommended fluid and test drive the vehicle to see if the problem persists and the code is reset. If the code is reset, use the transmission pressure gauge to check pump pressure. If the pump has been operated without enough fluid, it could have been damaged creating a low pressure condition that will also require a transmission overhaul. Once the transmission leak has been repaired and it is refilled with clean fluid, connect the scan tool to the vehicle diagnostic connector and retrieve all stored codes and freeze frame data. Write this information down because it will prove helpful later. Clear the codes and test drive the vehicle (if possible). If the code is reset, use the transmission pressure gauge to obtain a manual pressure reading. Consult your repair guide (All Data DIY) for pressure test recommendations. Compare this reading with manufacturer’s specifications. If fluid pressure is too low, suspect a mechanical failure. I pressure is within specs, you will likely discover that a defective EPCS or wiring malfunction are at the root of your malfunction. Once you have located the EPCS (and gained access to it) use the DVOM to test resistance values. Compare your actual findings with manufacturer’s specifications and replace the solenoid if it doesn’t comply. Disconnect all related controllers prior to testing circuit resistance (with the DVOM) in order to avoid controller damage. None found. Ask a question about P0965. Hi, I have a nissan sentra 2016.and I ran over a pumper on the fwy at carpool line. And highway patrol told me to drive it out to the nearest exit. I was on 91fwy. About to pass 605 fwy .so I was on carpool line and had to drive to the right hand side to go in to the 605 get and drive to the nearest exit that was a long drive like maybe like a 5 minute drive to the nearest gastation. That when the highway patrol rocked my car for about 4 hours.till they broke the pumper in to one little peace .I have pictures. then like about a couple of day my car didnt want to drive from the brakes it broke then it was the alignment and was holding after then once it gets hot it doesn’t want to drive but the insurance wants me to pay for it too bring it down and open it and see what’s going on with it if it’s related to the accident so they can reimburse me. Since the code was never an issue before the incident, it must have been caused by damage from the incident. You can likely find a shop to work with you on collecting payment from the insurance company. Get on the phone and be charming. Best wishes.